I'm one of those mothers who had no signs of labour at 39 weeks, not even a single Braxton Hicks. Anxious to meet my ObGyn's self-determined "deadline" at 40 weeks, Hubby & I spent the last week out and about in hopes to get things "moving" in there! FINALLY felt mild surges early in the morning. Intervals were quite inconsistent, every 10 to 20 minutes. Hubby immediately sorted out my hospital essentials, got the house chores done, bought us lunch and in between, profusely asked when should we head to the hospital? Told him not to worry until interval is about 5 mins apart. Embraced the surges by doing calm & surge breathing to keep myself relaxed and composed in preparation for the next wave. The mild surges went on till Maghrib with similar interval patterns. Hubby suggested I eat up before it gets too late. So i requested for KFC as my last meal before the labour & pantang phase kick in.. tee he he. After dinner, surges got more intense and closer together, about 7 to 10mins apart but thankfully still bearable. We quickly showered and performed Isyak. About 2 hours after, the surges further intensified, lasted longer and came every 5 mins! "WE HAVE TO GO NOW SAYANG", I cried out. Arrived PHKL around 12am and found out I was already 9 cm dilated! Surges were at its peak this time round making it uncomfortable lying still on the bed. Headed for a quick toilet sitting position which the midwife was quite reluctant of.. Found a great deal of comfort from gravity as I could feel baby gradually descending! The midwife got a little worried with the position and insisted return to the bed. I was ready for full labour at 0230. Labor pain at this point is like having very very very very bad menstrual cramps! Concentrating on birth breathing, deep moans and ultimately Doa made me feel I could handle it. Not forgetting my supportive HypnoBirthing companion, hubby, for cheering by my side, going back and forth between motivational birth pep talks and checking up on the crowning progress. You're truly a star, sayang. Muhamad Mikhael bin Mohd Fithri was born an hour later. I burst into tears whilst calling out for him to be in skin to skin contact. I can vividly remember the feeling of joy & gratitude I felt at that point in time. Alhamdulillah Ya Allah for this most precious gift. When people ask if HypnoBirthing does actually help, Its a definite yes for me! I'm forever grateful and thankful to Nadine Ghows for guiding me thru it all. Thank you dear. 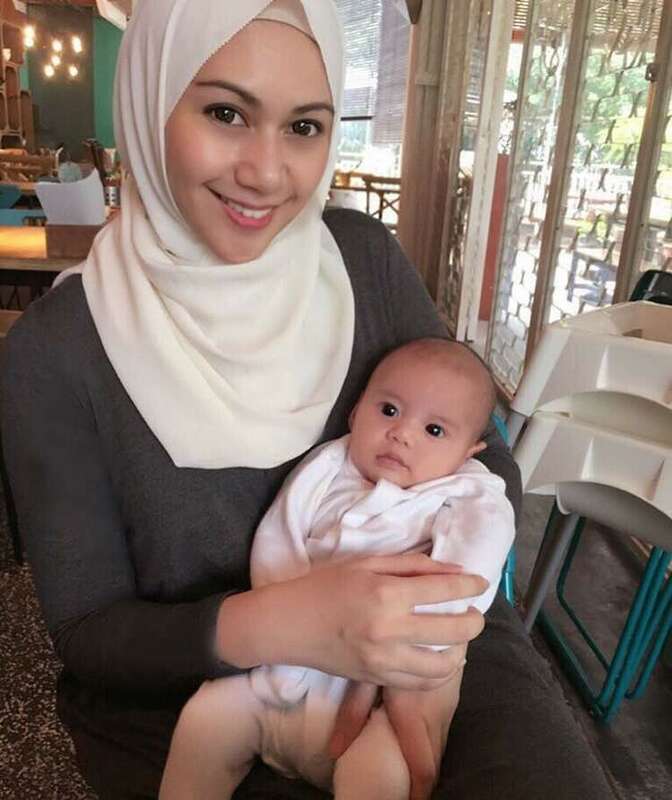 May Allah bless you always and ease all your efforts in educating Mothers on the art of using our body’s natural instincts to birth the way nature intended.